The above "forced perspective" picture was taken by accident. I was then about to take the picture of my younger sister and while motioning her to move a little to her left to block the view of the yellow wet floor signage at the back, an idea struck me. I ignored the yellow wet floor sign and took the shot. Voila! It is as if the number 8 was on top of her head. In Chinese tradition, the number eight (8) is one of the numbers believed to be auspicious (吉利) or lucky. In fact, it is treated as the luckiest of of all lucky numbers This is because "bā" (八), the word for "eight" in Mandarin Chinese sounds similar to the Mandarin Chinese word "fā" (发), which means "prosper" or "wealth." In Cantonese, "baat" (eight) sounds similar to "faat" (fortune). Another reason why the number eight is considered lucky is that the figure "eight" has a perfect symmetrical shape, which is equivalent to perfect balance, one that is considered ideal in Chinese Astrology. IKEA, the Swedish home furnishings retailer known for its well-designed, inexpensive, and functional furniture for the home, must have these in mind when it placed an ornamental plant shaped into a figure "eight" outside its store in Shatin, Hong Kong. This particular store of IKEA in Shatin is where we dropped by right after we climbed up to the 10,000 Buddhas Monastery nearby. IKEA was founded in 1943 by 17 year-old Ingvar Kamprad. As a young entrepreneur in south Sweden, Kamprad soon turned his business into a mail order operation selling a variety of household products, particularly furniture. The first IKEA showroom/store opened in 1953 in Sweden. The name IKEA comes from the initials of its founder (IK) plus the first letters of Elmtaryd (E), the farm in Southern Sweden where he grew up, and Agunnarvd (A), the nearby village. 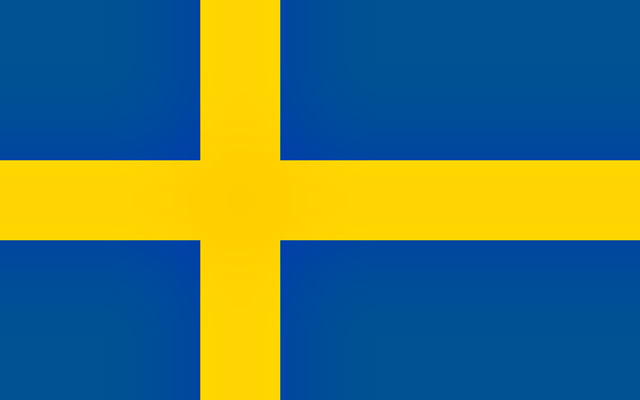 The IKEA logo's colors are blue and yellow which are the same colors of the Swedish flag. Before IKEA was known to be seller of home furnishings, it originally sells pens, wallets, picture frames, table runners, watches, jewellery and nylon stockings, meeting needs with products at reduced prices. Kamprad's innovative strategy was to design functional furniture that was easy and inexpensive to build, receive it disassembled at stores, and display it on the show room floor with detailed explanation tickets, making salesperson assistance unnecessary. Employees were available for questions but the customers could choose, order, pick up, transport, and assemble their own selections. Cost savings earned by IKEA were passed through to customers in lower prices (estimated cost savings are 20-50%, compared with the competition). His stores soon became home furnishing centers, also offering restaurant facilities and play areas for children. The strategy continues to drive IKEA operations. From the start, Kamprad's desire to integrate social value into business practice has strongly influenced the IKEA vision. In December 1976, Kamprad wrote, "What is good for our customers is also good for us in the long run." This objective of responsibility drives the company vision to create a better everyday life for the majority of people. The vision is realized by offering a wide range of functional and well-designed home furnishing items, at prices so low that the majority of people can afford to buy them. Ikea will open its Philippine store soon! Abangan! It was just an accident to make you look you have a number eight on your head but it's cute tho. Anyway, can't wait for Ikea to open here in the Philippines.